Some Atrial Fibrillation patients know immediately when their heart is in A-Fib. They experience one or more symptoms including shortness of breath, palpitations, heart flutters, etc. Other A-Fib patients may have subtle symptoms (or silent A-Fib) and can’t be sure. The following self-care skills will reassure you any time you suspect you’re in A-Fib—how to check for an irregular heartbeat and how to tell if your heart rate is too fast or too slow. ♥ Begin by placing your right hand on the left side of your chest while seated and leaning forward. ♥ Position your hand so that you feel your heartbeat most strongly with your fingertips. ♥ A normal heart rhythm should feel like a regular drum beat cadence; you can usually anticipate when each beat will come after the last beat. ♥ Because heart rate and the strength of the heartbeat can vary with breathing, sometimes holding your breath for a few seconds is helpful. With an irregular rhythm, it will be hard to predict when the next beat will come. ♥ In addition, some irregular beats will be softer (less strong) than other beats, so the strength as well as the timing may not be consistent. ♥ Place your right hand over your heart so that you feel your heart beating under your fingertips. ♥ Use a watch or timer and count the number of beats for 15 seconds. ♥ Be sure to count all heartbeats; including beats that are not as strong or that come quickly following one another. ♥ Take the number of beats you’ve counted and multiply it by four. For example, if you count 30 beats in 15 seconds, then you would calculate 4 x 30 = 120 beats per minute. ♥ Repeat this process three times right away, writing down each heart rate to later share with your doctor. 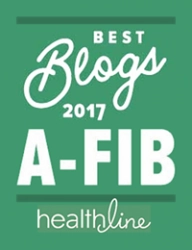 While an Electrocardiograph (ECG or EKG) or Holter monitor are the only sure ways to document you are in A-Fib, you can use the above self-care skills to recognize A-Fib symptoms of an irregular heart beat or if beating too fast or too slow. These skills with help you remain calm and confident when you suspect you may be in A-Fib. Apple Watch 4: Do ECG Readings Give A-Fib Patients a False Sense of Security? We received a couple of emails about the new Apple Watch 4. As many A-Fib patients may be aware, recently Apple unveiled the next generation of Apple Watch which includes a second generation optical heart sensor. Among several interesting features, it can generate an ECG tracing similar to that of a single-lead electrocardiograph. In her Sept. 14, 2018 editorial on Medscape.com, ECG Readings From the Apple Watch? This Doctor Is Leery, Dr. Hansa Bhargava gives her perspective of this feature for those diagnosed with atrial fibrillation. She writes that she finds the Apple Watch’s ability to do a one-lead ECG interesting but has some reservations. “…Here’s what I worry about: the false sense of security that a person could have. Being able to do a one-lead ECG is definitely interesting, but does it always help? Here’s a scenario. A 40-year-old runner starts feeling dizzy, lightheaded, and has chest pain. He worries but remembers that there is an ECG function on his watch. He proceeds to do the ECG which then reads “normal.” Because of this he decides to continue to run. What he doesn’t know is that this is only a one-lead ECG, and even though it seems normal, it is an isolated data point; more information is needed to diagnose what is going on. What if he is having angina? In fact, 30% of cardiovascular events happen to people under the age of 65. One lead on an ECG could certainly miss this; in fact, even a 12-lead ECG, if the only isolated data point, could miss this. While the watch can detect changes in the patterns of a person’s heart rate such as too fast, too slow, or beating irregularly—signifying A-Fib, the watch doesn’t diagnose a medical issue. Keep in mind these doctors’ concerns apply to all consumer heart rate monitors (HRM), those with optical heart sensors and those with electrode-containing monitors. Wrist vs. Chest Bands: Wrist-band optical heart-rate monitors (like Apple Watch 4) may be more convenient or comfortable and have advanced over the years. But researchers found that electrode-containing chest-strap monitors were always more accurate than their wrist counterparts and more reliable and consistent. To learn about this research, read When Tracking Your Heart: Is a Wrist-Worn Heart Rate Monitor Just as Good as a Chest Strap Monitor? As an A-Fib patient, when monitoring your heart beat rate is important to you (while exercising or doing heavy work), you’ll want to stick with an electrode-containing monitor (chest band-style, shirts or sports bras with built-in electrode pads, etc.). For help selecting a HRM, see our article: Guide to DIY Heart Rate Monitors (HRMs) & Handheld ECG Monitors (Part I). 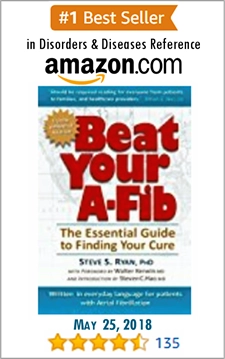 Also take a look at Steve’s list on Amazon.com: Top Picks: DIY Heart Rate Monitors for A-Fib Patients. Keep in mind: None of these DIY heart rate monitors are diagnostic tools. But they can be helpful once you know you have A-Fib, A-Flutter or suffer from PVCs, PACs, etc. Just don’t make medical decisions based on their readings. See your doctor if you have any concerns or symptoms. Hauk, C. Data Collected by Apple Heart Study Used to Obtain Apple Watch Series 4 ECG Clearance from FDA. Mac trast.com. Sep 14, 2018. Tim Zhang from Contec Medical Systems CO., LTD, offered us a Contec Handheld Portable ECG Heart Rate Monitor, PM10, to try for ourselves hoping we would add it to our reviews of other similar units. The Contec PM10, an FDA Certified device, is also sold as the EMAY Ltd EMG-10. Both handheld portable ECG heart rate monitors are about $79 on Amazon.com. The PM10 is a small 4 oz. unit that can track a single channel ECG waveform. You can observe the scan live, then download the recordings (up to 30) to your computer or smartphone for review and print to share with your doctor. It claims to detect up to 12 cardiac conditions. 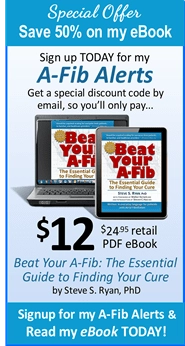 I don’t have A-Fib anymore (thank goodness), so I wasn’t able to test while in A-Fib. To charge the PM10 battery: Use the provided micro USB cable to connect the unit to a USB port on your computer. While charging, you’ll see a faint blinking blue light beneath the white plastic at right top front of the curved end. Taking a scan (no cable or smartphone needed): To turn on, press the blue button (the only button on the unit) and hold down for 3-4 seconds and you’ll hear a beep (it turns off automatically). You’ll notice the metal contacts are sizeable on this relatively small device. Hold the unit as shown in the drawings (between both hands, or hold with one hand and the unit on your chest.) You can watch the unit capture your heart beats. It takes a few seconds for the waveform to stabilize, then start recording for a 10 sec measurement. (There’s a 10 sec countdown on the screen). It displays your heart rate as well. Summary screen: When completed, the ECG scan is replaced with a summary screen with its best guess about the recording. Examples: No abnormal, Bradycardia, Missed beat. You can’t review the recording on the unit. You must download to software on your computer or smartphone. The PM10 connects by Bluetooth or USB cable to a smartphone phone or computer. You’ll want to install the app or software so you can download your scans for review or printing. The PHMS app can be found on iTunes and Google Play. 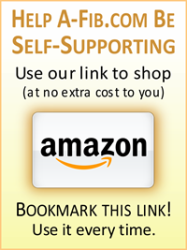 For a computer, you can download the PHMS software from the Contecmed.com download page or the EMAY Ltd download page (I found EMAY easier and faster). The ‘Download’ tab opens first. Press the ‘Start new search’ and the software displays a list of scans from your PM10. Press the button ‘Download all’. Then switch to the ‘Manage’ tab. From here you can select a scan from the list and press ‘Review’ to see the ECG. A Diagnosis column is on the right. From here you can print the scan. (To close, double-click on the ECG to return to the downloaded list). Helpful tip: When you ‘print’ you can also select ‘Adobe PDF’ as your printer and save to your hard drive, but I had poor image results. An alternative is to take a screenshot or use the Windows snipping tool. Save the image, then print. Either way, you can attach it to an email and send to your doctor. You can read the Amazon.com reader reviews for yourself at the Contec PM10 and the EMAY EMG-10 product description pages. The Contec PM10 is easy to use and carry in a pocket or handbag for scans on the go. Or leave with your laptop for periodic checks. While you can observe the ECG scan live on the screen, there’s no review screen. You must download the scan to review it or print it. Unlike the AliveCor Kardia, no smartphone or tablet is needed to take scans. Observing the live ECG tracing may be enough for most A-Fib patients who just want a quick check of their heart beat and heart rate. I think you get a lot for the $79 price. But remember this is not a diagnostic device. It doesn’t replace an ECG by your doctor or use of a mobile type of heart rhythm monitor to capture the electrical activity of your heart (e.g., a Holter monitor or event monitor). I welcome your comments if you have used this unit or others in our reviews, Guide to DIY Heart Rate Monitors (HRMs) & Handheld ECG Monitors (Part I) and Do-It-Yourself ECG: A Review of Consumer Handheld ECG Monitors. Just send me an email. Nature has been good to us. Nature gave us aspirin and morphine, and other medicines derived from plants. The use of plants as medicines has a long history in the treatment of disease, and plants have played an important role in improving our health. A lot of people believe that when it comes to medicine, “natural” is better, healthier and safer than “unnatural” or synthetic drugs. Medicine and supplements: Is “natural” better, healthier and safer? On the other hand, not all products from nature have been shown to be effective. Some dietary and herbal supplements have failed to show a benefit when scientists have studied them. For example, several major studies of the herb Echinacea did not find evidence of benefit against the common cold. Studies of ginkgo, including a large study that enrolled more than 3,000 older adults, found that ginkgo supplements don’t help prevent or slow dementia or cognitive decline. Contrary to what many may think, some “natural” medicines can even have serious safety concerns. For example, kava, a plant native to the islands of the South Pacific, and often used as a dietary supplement for anxiety, may be associated with severe liver damage. Free of chemicals? ... But everything is made of chemicals! Are “Natural” Medicines Chemical Free? Some people also believe that “natural” products are safe because they believe these medicines are free of chemicals. For many, the word “chemical” has come to mean toxic or synthetic, something to be avoided. But everything is made of chemicals. The apple on your kitchen countertop, the ceramic mug in your cupboard, and even the air that you breathe. In fact, you are made up of chemicals, too. Some chemicals in nature are toxic to us—mercury, snake venom, arsenic, and ricin from castor beans. But other chemicals are good for us and necessary for life—like iron and oxygen (but at high doses are toxic and can even cause death). It’s important to understand that although many herbal or dietary supplements (and some prescription drugs) come from natural sources, “natural” does not always mean that it’s a safer or better option for your health. And a “chemical” ingredient can be beneficial. An herbal supplement may contain dozens of chemical compounds (but all of its ingredients may not yet be known). Before you add herbals and supplements to complement your treatment plan, do your research! Strive to make informed decisions about your health. 3. The ‘Dietary Supplement Label Database’ and Herbs at a Glance at the U.S. National Institutes of Health. For a detailed report, see our FAQ: Where can I find reliable, unbiased research and information on specific vitamins and supplements? It’s important to tell all your health care providers about all supplements you take. Be sure to update this information every time you visit your doctors’ offices. That way, they can help you avoid harmful interactions. For the reader wanting a more extensive understanding of the Electrocardiogram and A-Fib, we offer you a link to Healio Learn the Heart—a FREE online cardiology resource for those seeking to increase their knowledge of ECG tracings interpretation and cardiovascular diseases. I suggest you start with the ‘Atrial Fibrillation ECG Review‘ then move on to the ‘ECG Basics‘ to analyze each part of the ECG tracing. Included are detailed explanations and ECG images of the heart in Atrial Fibrillation. You can even challenge yourself with the Beginner ECG Quiz featuring detailed answers and links to pertinent explanation pages. Or test your overall knowledge of Atrial Fibrillation with a multiple choice Atrial Fibrillation Quiz. If you want just a brief overview of the ECG waveform signal and how to “read” an ECG tracing, go to my report, Understanding the EKG Signal. Over time, drinking may actually change the electrical signals, triggering irregular heartbeat (arrhythmias). A new study found the risk of atrial fibrillation grew by 8 percent for each daily alcoholic drink. The findings were similar for men and women. The authors looked at previous studies that tracked almost 900,000 people over 12 years. Fibrosis: The study doesn’t establish a direct cause-and-effect relationship. Nevertheless, “cell damage from habitual drinking may lead to small amounts of fibrous tissue within the heart that causes the irregular, quivering heartbeat”, the study authors said. Post-catheter ablation: The review found that people who continue to drink are more likely to have ongoing irregular heartbeats even after catheter ablation. He added they had no randomized data that tells what a ‘safe’ amount is to consume. The study authors called for more research to determine whether avoiding alcohol completely is required for patients who have irregular heartbeats. Participants consuming at least 10 standard drinks per week were randomized to abstinence or usual consumption. Abstinence prolonged A-Fib-free survival by 37% and lowered A-Fib burden from 8.2% to 5.6%. Those in the abstinence arm also experienced improved symptom severity, weight loss, and BP control. Some Atrial Fibrillation patients have sworn off alcohol altogether. Through trial and error, they’ve found that any amount of alcohol contributes to or triggers their A-Fib episodes. Dr. Kistler’s research is helpful for the balance of A-Fib patients. It offers some research-based guidelines to minimize the impact of alcohol consumption on their A-Fib. For additional reading, see my article:“Holiday Heart”: Binging Alcohol, Marijuana & Rich Foods. 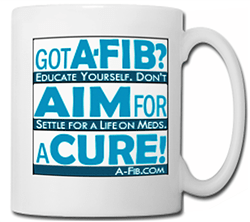 But once you are A-Fib free as by a catheter ablation, moderate alcohol consumption may not be a problem or induce A-Fib. ‘Tis the season when many people end up in a hospital’s emergency room (ER) for treatment of “Holiday Heart Syndrome”, i.e. Atrial Fibrillation triggered by alcohol binging. Overindulging in alcohol (six or more drinks) can cause surges in the body’s adrenalin, rises in the levels of free fatty acids, alterations of how sodium moves in and out of the heart cells, and a lowering of the levels of sodium, potassium, and magnesium in the body through diuresis. Excessive alcohol is not the only culprit. Recreational use of marijuana can compound the risk as well. Other factors include the nicotine effect in smokers (active and passive), large quantiles of rich food, and even cold weather. In addition, fireplace fires and bonfires can release ultra-fine particles in the air from burnt materials and can be bad for the heart. Finally, if you know someone who is depressed, alone, or isolated during the holiday season, reach out and cheer them up. It may be the best thing you do for their heart as well as yours. 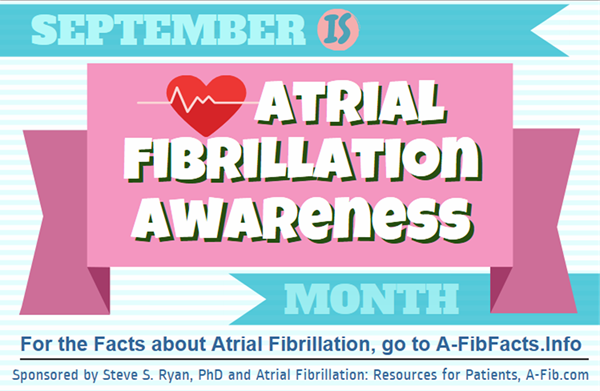 During September each year, we focus our efforts on reaching those who may have Atrial Fibrillation and don’t know it. We offer a our infographic to educate the public about this healthcare issue, along with a free promotional banner and poster. Download (600 x 1600-pix): PNG format or JPEG format. Also available: Promo banner and promo poster. 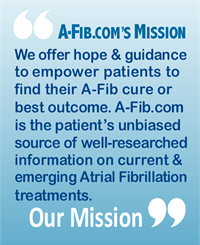 About Atrial Fibrillation: An estimated 30%−50% of those affected with Atrial Fibrillation are unaware they have it—often only learning about their A-Fib during a routine medical exam. Of untreated patients, 35% will suffer a stroke. Half of all A-Fib-related strokes are major and disabling. 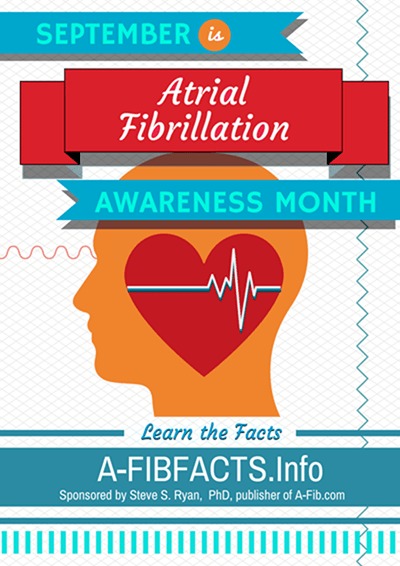 For more facts about Atrial Fibrillation, read or download the A-Fib Facts 5-page report. Back to: The Threat to Patients with “Silent A-Fib” How to Reach Them?